The first time I heard about artificial intelligence (AI) was at an investment conference in 1993. That was over two decades ago! After an exhausting day of sessions and networking, I headed to the bar. One of the money managers I knew offered to buy me a drink. He snickered when I ordered a club soda with a twist of lime. He started telling me about AI. His wife, a flight attendant, told him about how her airline was using it for ticket pricing. It sounded both logical and simple. He went on to say how he was using AI for managing money. I never forgot that conversation. At the time, I thought that AI was something new. But I was dead wrong. It’s been around for a long time. In fact, AI was first introduced in 1950. A brilliant young man named Alan Turing, who is also credited with developing the first computer, laid the foundation for AI. Turing’s extraordinary life was recently made into a movie: The Imitation Game. Turing was born in 1912 in Paddington, London. He was a computer scientist, mathematician, logician, and cryptographer. If it isn’t already obvious, his skills were endless. He was a determined and intelligent individual. 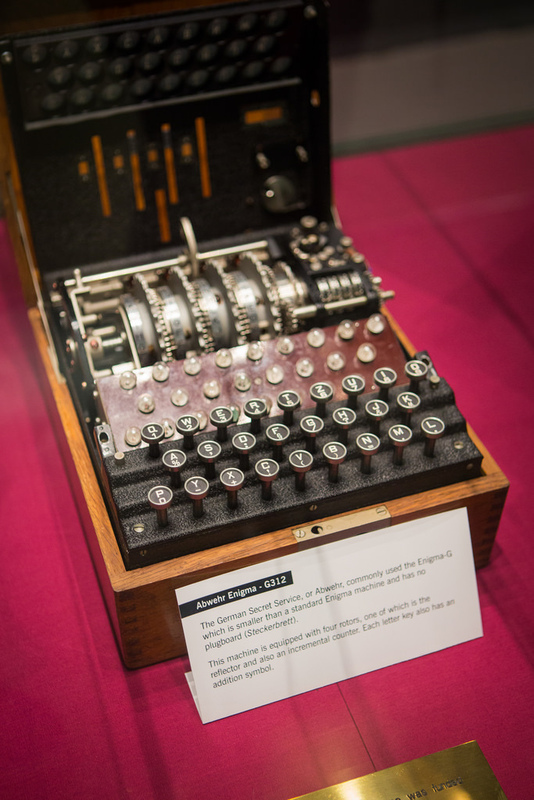 One of his greatest accomplishments was breaking the code of the Nazi Germany Enigma machines in World War II. Nazis used Enigma machines to protect diplomatic and military communication. They were used to change the letters in a message so it would appear scrambled or random, which made it difficult for anyone to decipher the message. When Turing broke the Enigma code, he'd been working for the Government Code and Cypher School (GC&CS) at Bletchley Park. Let’s just say that breaking the code didn’t go entirely unnoticed. Historians believe that over 14 million lives were saved because of Turing’s work. He was even credited with ending World War II early. Mathematics will always contain variables. His paper also introduced the “Turing machine.” It’s a hypothetical machine that can simulate any computer algorithm — no matter how complex the algorithm is. In other words, it can compute anything that can be computed. You can compare this machine to what you would encounter today with a digital computer. In 1945, Turing began creating an electronic computer. He worked on the development of computers by designing an input-output system and a programming system. Alan also wrote the first-ever programming manual. And his programming system was used in the Ferranti Mark 1, the first marketable electronic digital computer. Turing initially asked this question in the opening of his paper “Computing Machinery and Intelligence” while working at the University of Manchester. But because the word “think” is a hard term to define, Turing replaced that question with another: "Can machines do what we (as thinking entities) can do?" Alan believed this was a question that could be answered. And the quest to find the answer to his burning question led to the creation of the Turing Test. This test doesn't measure the level of intelligence of a computer but instead whether or not it has the capacity to behave like a human being. The test involves three participants: a computer, a human interrogator, and a human. Here’s how it works. The interrogator has to distinguish between a computer and a human based on their replies to various questions asked by the interrogator — all within a fixed time frame. If the computer has a higher probability of being misidentified as the human, then the computer is successful at “thinking,” or being able to do what we (as thinking entities) know how to do. And this was the birth of AI. Turing is considered to be the father of AI because of his Turing’s Test and multiple papers on the subject of machines learning and behaving similarly to thinking entities. This was a breakthrough for Turing, and it happened in the mid-20th century. No doubt, he was way ahead of his time. Fast forward to 2018… AI can be found one way or another in our lives. Every time you search for something through Google or get alerts from your bank when it notices “suspicious activity,” it’s all because of AI. Or when you ask Alexa a question or even play with your robot dog. Every major company in the world is scrambling to use AI. Every billionaire I know is scrambling to invest in AI. In fact, earlier this year at the Sohn Conference, a private meeting of Wall Street’s smartest minds, I discovered possibly the next big AI stock! The conference gives Wall Street professionals 15 minutes to pitch their best ideas and raise capital. Each year, more than 3,000 investors and hedge fund managers pay more than $5,000 each to attend. This is a top-notch conference that's widely followed and can move markets. In fact, at one of the past conferences, hedge fund manager David Einhorn predicted the failure of Lehman Brothers. After each conference, I review all the notes. And trust me, there’s a lot to sift through. You never know if one of these companies could be the next Amazon or Apple. So, I’m always looking anywhere and everywhere to find you the next great investment ideas. That was until I heard a pitch from a venture capitalist. He runs a $2.6 billion technology venture capital firm in the heart of Silicon Valley. He was also an early Facebook executive. At the conference, he talked about a company with a customer base that includes nearly 70% of the Fortune 500. That alone was enough to spark my interest. AI is projected to increase the global economy by $15.6 trillion over the next decade! And one study reports that AI will be responsible for creating close to 1 million new jobs over the next three years. AI is already a big part of our daily lives, but it will also have a huge influence on the entire world. And China is leading the way. It's aiming to make AI a “tech superpower” by 2025. And this won't just have a huge impact on China’s economy. It'll also have a huge impact on the entire world. Even the gloves are coming off between the two tech giants: Apple and Google. Both companies are building their AI teams, and both are fighting over the most talented people. On April 3, 2018, Apple threw a right hook at Google. Apple poached Google’s head of AI, John Giannandrea. Giannandrea had been working as chief of AI for Google since 2010. He’s a machine-learning expert, which makes this new hire a huge step in the right direction for Apple. Apple is playing catch-up to Google and Amazon. In 2010, Apple’s Steve Jobs bought Siri, which is a voice-controlled virtual assistant (VA) software. Because Apple didn’t give Siri the development and attention that it needed, Google Assistant, which is available on Android phones and as an app for iPhones, is far superior. So, Google and Amazon’s Alexa now dominate the space. But Apple didn’t become a $900 billion company by making the same mistakes twice. It recognizes the future in AI, and it's going all in. Google once again hit the nail on the head during its annual Google I/O developer conference. This is Google’s biggest event of the year. During the conference, Google CEO Sundar Pichai couldn’t stop talking about AI. The company has been morphing into an AI-heavy company. But now, it’s even more obvious that AI will be fueling Google’s ecosystem. AI will be important to Google’s future. And that means it’ll be very important for the entire tech market’s future, too. Google Assistant will be easier to talk to. Not only easier but also more personable and natural. Users will be able to pick from six new voices for their Google Assistants. And one of those voices will include John Legend’s voice. No one wants to feel like they're talking to a robot. I know I don’t. And that's why Google is perfecting its assistant’s voices. If it’s fun to talk to a voice assistant, then you’ll want to use it more. The company is using WaveNet to make these new voices more realistic and to perfect accents and languages from all around the world! By the end of 2018, Google Assistant will be available in 30 different languages. Not only will you not be talking to a robot, but you’ll also be able to have a natural conversation! This is just one of many developments in the AI world. This breakthrough technology will change the tech market forever. And it's all just getting started. Thus far, Google is leading with 14 acquisitions. But with Google’s former AI chief on board, Apple undoubtedly will start to gain traction on Google. If you don’t have any artificial intelligence stock angles in your portfolio, consider this your wake-up call. I don’t want to see you miss out. And I don't want to see you regret not taking me up on this opportunity. AI will be big, probably bigger than any industry we’ve seen to date. The biggest investment opportunity is here — it's happening at this very moment. And you have the chance to be a part of something revolutionary if you begin investing in AI today. One way to take advantage of the huge windfall that’s about to hit global economies is to invest in ETFs. ROBO Global Robotics & Automation Index ETF (ROBO) would give you exposure to AI. I expect this ETF to go higher from the growth of this exciting new trend. But the ETF has 29 holdings. Some of the companies should do well, but others will struggle. Another option is to invest in AI stocks directly. I’ve spent many years researching AI stocks that will give investors the most bang for their buck. Stay tuned for more AI investment opportunities. 1 Here are a few projections on how much AI is going to generate. The numbers are staggering!